FREE Microsoft Word Templates | TemplateBowl.com | Download Now! We offer 100% FREE Microsoft Word Templates for Business Cards, Brochures, Flyers and Postcards. Photoshop and Adobe Illustrator File Formats are also Available! 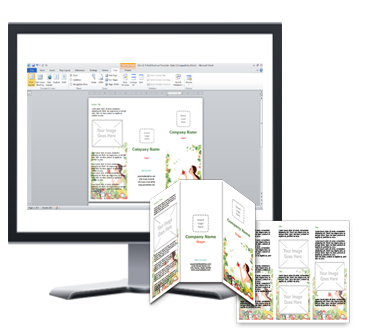 You can download our templates in different formats like Microsoft Word and Adobe Photoshop. All of these are offered for FREE! We have a range of templates for popular products, available in different sizes and different styles and designs. We have templates for business cards, brochures, flyers and more! Download our free templates and set your print-ready files really easy. Our templates have bleed guidelines and trim lines that help you set-up your designs.